Ariana Grande announced she will be performing a series of intimate concerts following the release of her highly anticipated album, Sweetener, which is set to drop on August 17! The mini-tour will see Grande take the stage in three small venues across the U.S., starting with a show at NYC's Irving Plaza on August 20. From there, she will journey to Chicago for a performance at the Vic Theatre on August 22 before closing the short run with a final show at the Theatre at Ace Hotel in Los Angeles on August 25. Grande also recently revealed that she is scheduled to make an appearance on The Late Late Show With James Corden on his now infamous segment “Carpool Karaoke.” The episode is slated to air on August 15. Pop and R&B sensation Ariana Grande has certainly made a name for herself since first stepping out in to the music scene in 2008. Her wide-range vocal versatility has earned her a place in the ranks among legendary pop artists like Mariah Carey and the late Whitney Houston, both of whom Grande cites as major influences. With a style and sound that is uniquely her own, it’s no wonder that all three of her albums have been certified platinum by the RIAA. Grande and her iconic ponytail continue to climb the charts, with two singles released from her highly anticipated album Sweetener (due for release on August 17) debuting within the top five on the Billboard Hot 100. 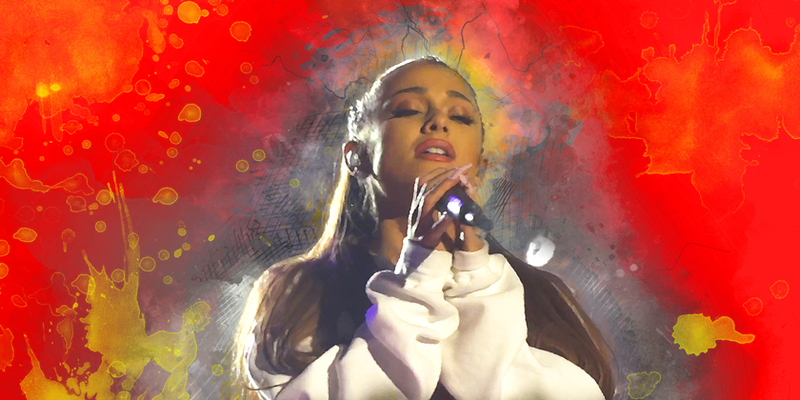 Grande is known for lending her incredible talents to organizations near and dear to her heart, often performing in benefit shows and speaking out against social issues like youth homelessness, LGBT rights, online bullying, gun control and much more. She is an outspoken supporter of animal rights and has lead a vegan lifestyle since she was thirteen years old. Where is Ariana Grande playing near me?